After the tragic school shooting at Marjory Stoneman Douglas High School in Parkland, Florida on February 14, which left 17 people dead, the calls for new gun laws have reached a fever pitch again. Of course, Congress will pass no new laws on the subject. There’s no need, as it’s becoming increasingly clear that enforcement of the current laws that could have prevented shooter Nikolas Cruz from obtaining firearms was egregiously absent. Federal, state, and local authorities failed miserably to act upon the many red flags presented by this disturbed man. Yet, at the state-level, it’s a different ballgame. Filed by an interfaith religious group in Portland, Initiative Petition 42 would also require legal gun owners to surrender or register their assault weapons or face felony charges, according to language released Tuesday. The group said it aims to get enough signatures to put the measure before voters in the November general election. They would need 88,000 signatures by July 6 to get the measure on the ballot. The proposal defines an assault weapon as any semiautomatic rifle that has the capacity to accept a detachable magazine, and any feature like folding or telescoping stock, or that can accept more than 10 rounds of ammunition. The proposal would require any person in legal possession of an assault weapon to sell, surrender or remove the weapon from the state, or render it inoperable, within 120 days of passage, according to the language. Oh, and of course, the police and military are exempt. Even Oregon Democrats aren’t going near this because they know the political consequences, said state Rep. Bill Post. It captures what everyone on the conservative, gun rights-supporting side has always known about the gun control movement: their agenda is confiscation and the abolition of the Second Amendment. It’s why we can’t trust them—and never should. There are no good people of faith on this subject. Do I wish we could have a debate on gun politics? Yes—but not with insane people. Also, to the people in the video who support the “assault rifle” ban, they’re already banned. 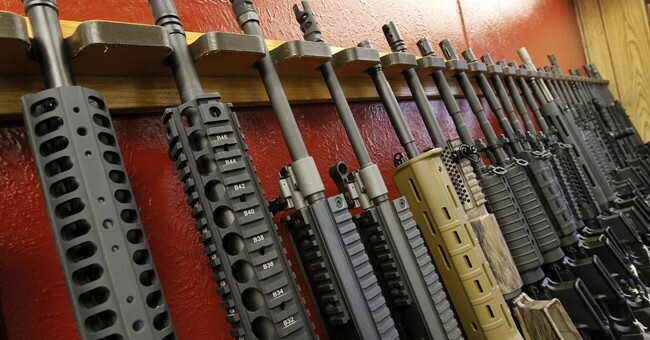 No new sales of automatic rifles post-1986 are permitted. Those who obtain an ATF tax stamp for weapons under the 1934 National Firearms Act, which includes automatic firearms, must go through a background check, have their weapon registered with the ATF, and pay the fee. The process could take up to a year or more, but, again, these transfers are only for weapons pre-1986. Fingerprints and photographs are required to be submitted along with your registration application. So, it’s a gun ban.